On the Thursday of the 22nd of February we at Husqvarna Museum had the pleasure to host the presentation of Husqvarna’s new bicycles! After 50 years in abeyance the production of Husqvarna bicycles has been resumed. This is done in a partnership between Husqvarna Group and the German bicycle manufacturer Pexco. Last time Husqvarna’s name adorned a bicycle was in 1968 when Swedish bicycle manufacturer Monark-Crescent in Varberg ceased their production of Husqvarna bicycles. 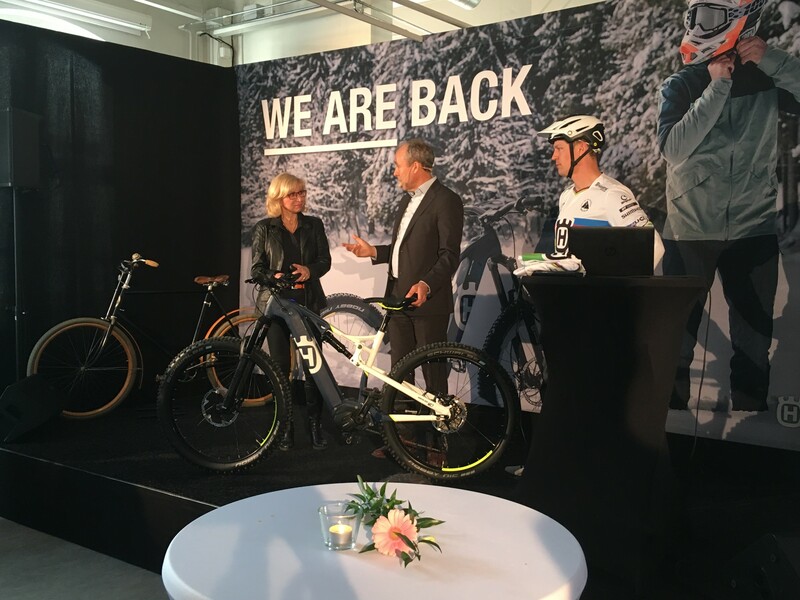 The new bicycles – which are battery-equipped – will be available in 35 different models and will be on sale in Sweden from later this year. With so many models there will be something for both the mountain bike enthusiast as well as the everyday city rider, biking between home and workplace. 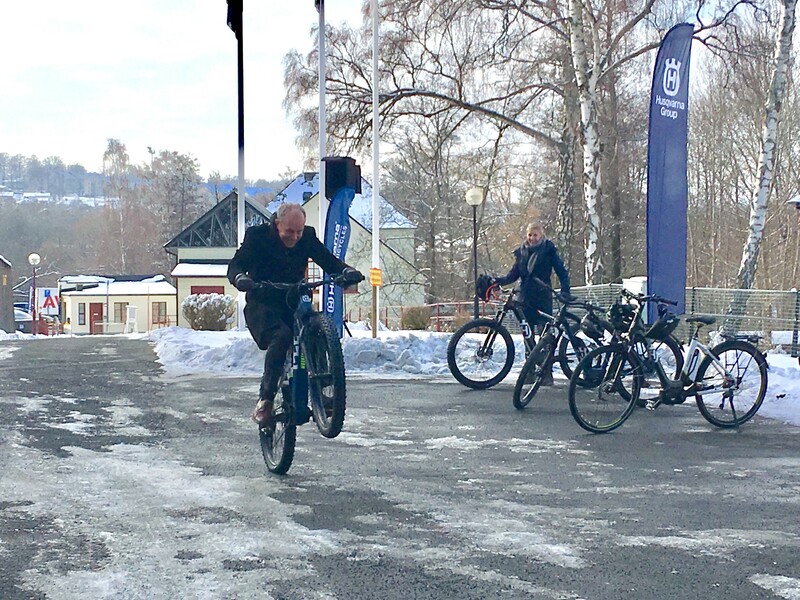 In these images Mr. Kai Wärn, Husqvarna’s CEO, is seen accepting one of the first Husqvarna bicycles and also trying it out outside the museum. The bike may now be viewed at the museum. Welcome!